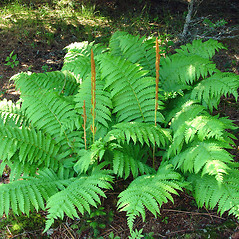 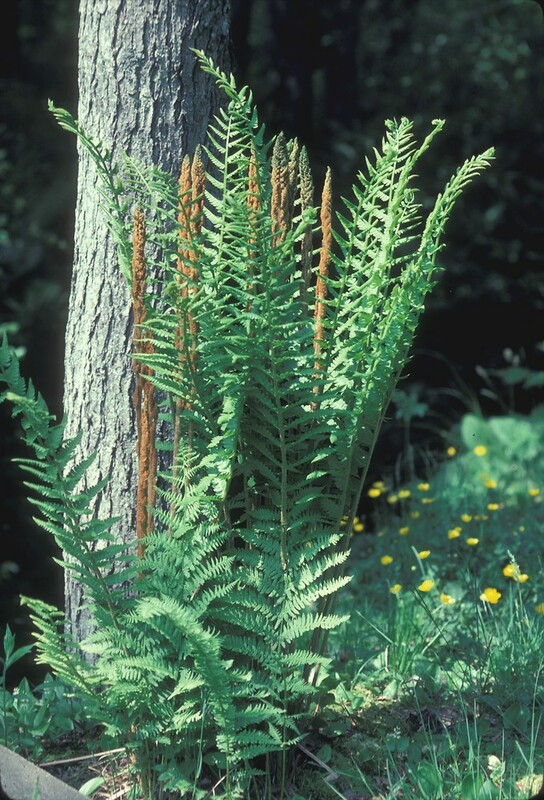 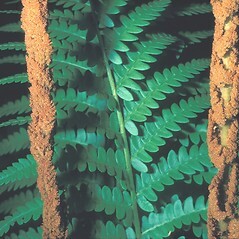 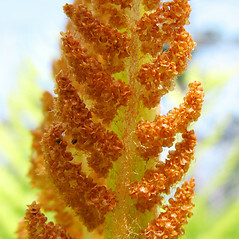 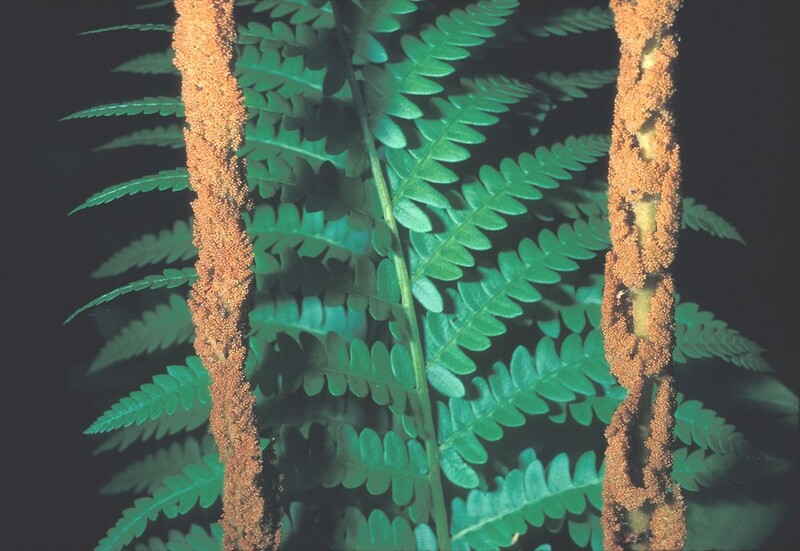 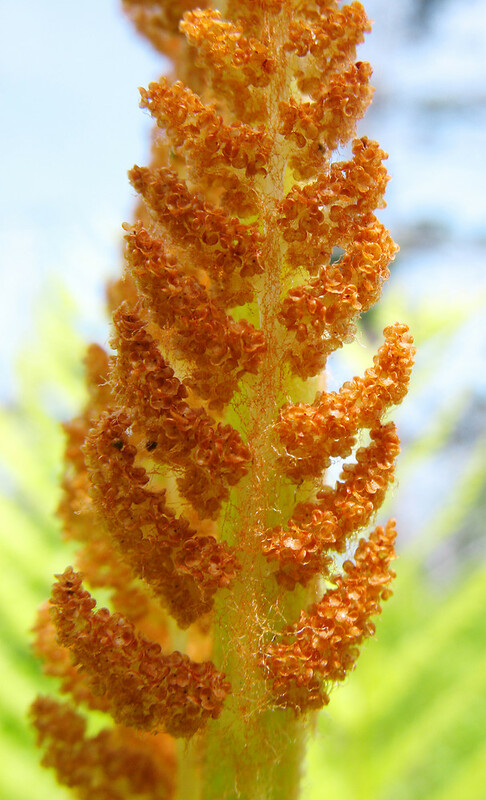 Cinnamon fern is a large fern that grows in clumps and is widely cultivated. 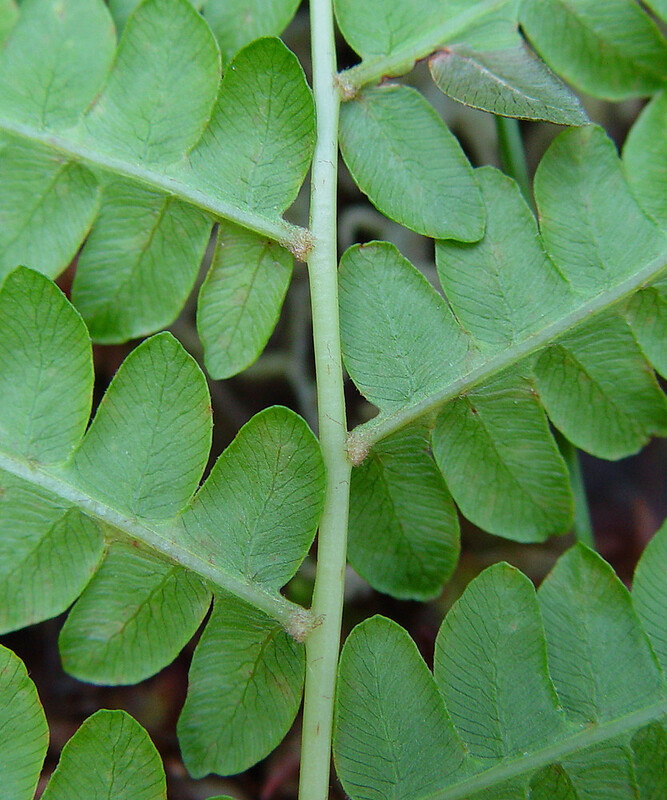 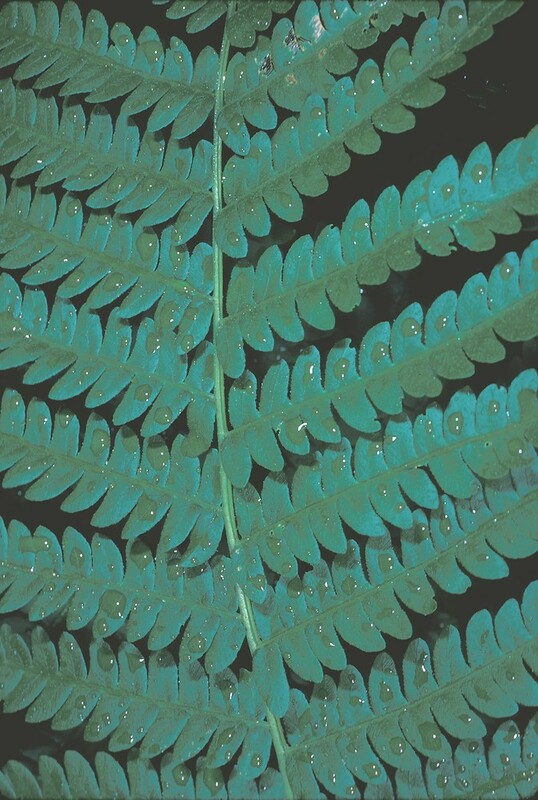 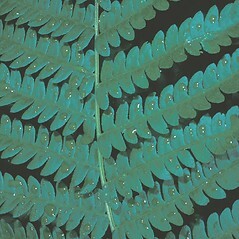 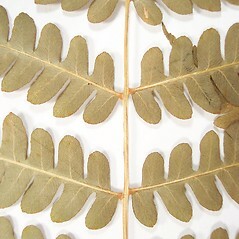 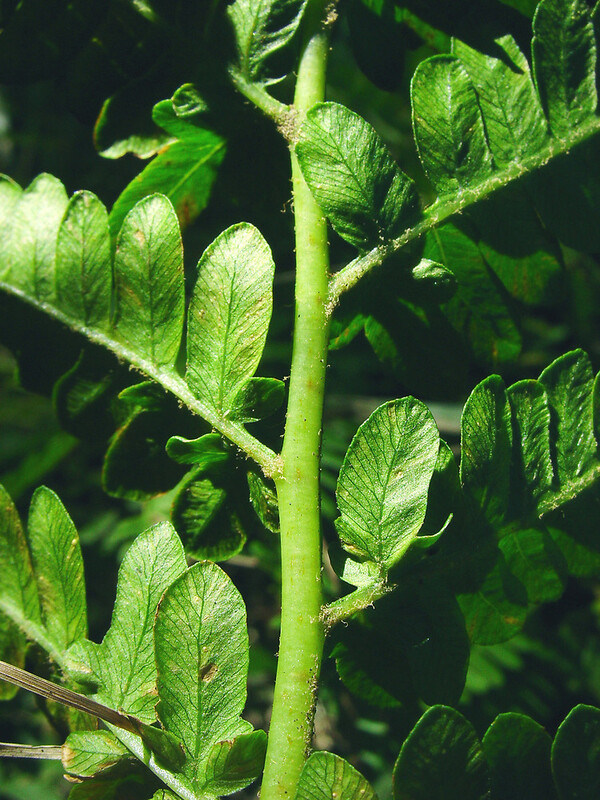 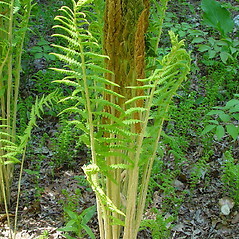 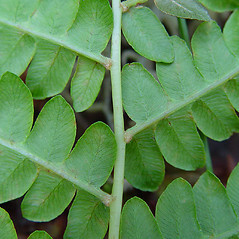 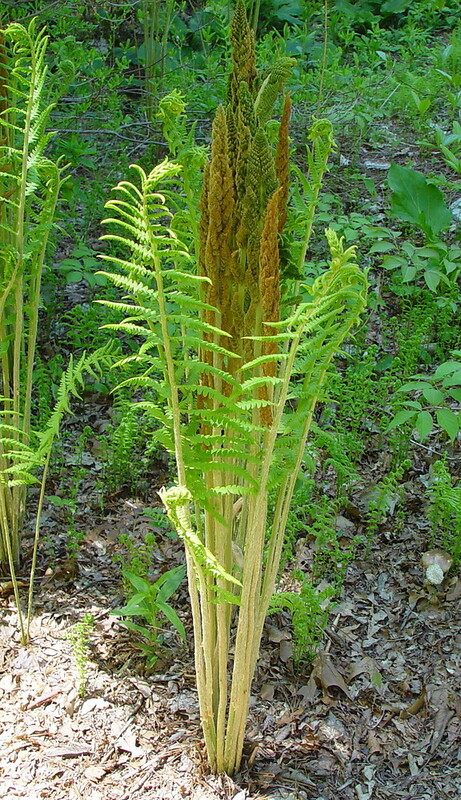 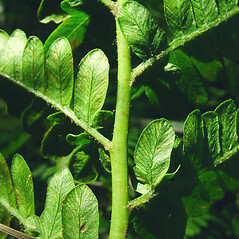 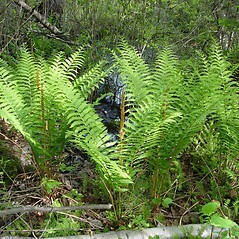 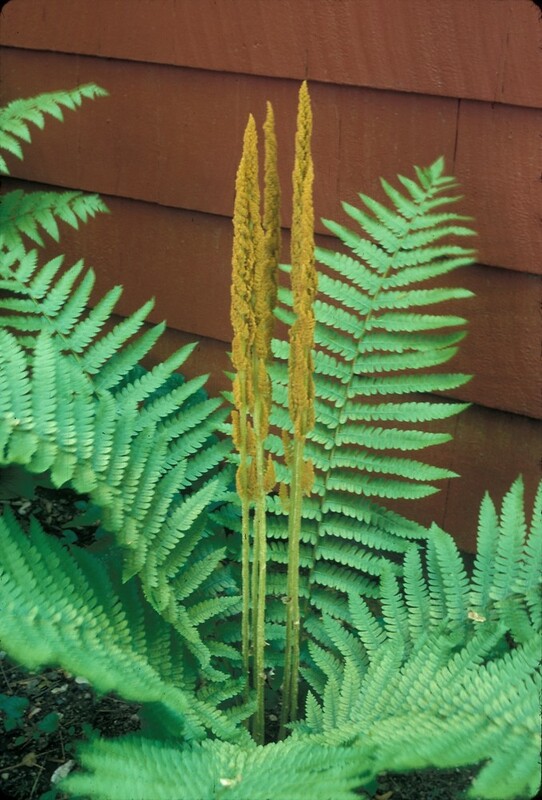 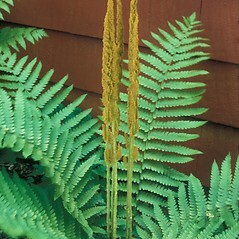 The fertile fronds start out green but the small, upward pointing pinnae soon turn brown or cinnamon colored. 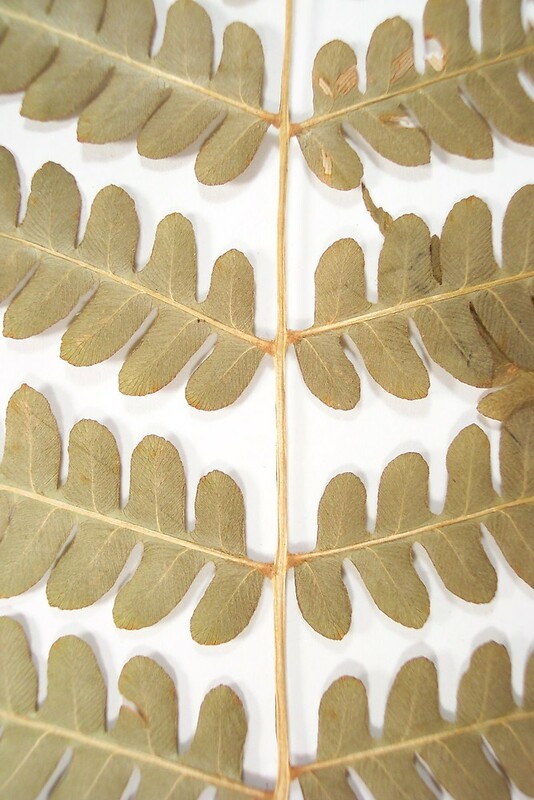 spores borne on fertile leaflets near middle of leaf blade and leaflets on vegetative leaves lacking a prominent tuft of light red-brown hairs at the base of the leaflets (vs. O. cinnamomeum, with spores borne on separate, fertile leaves and vegetative leaves with a tuft of light red-brown hairs at the base of the leaflets). 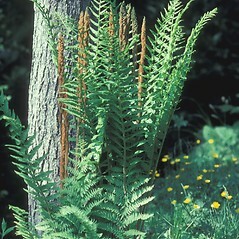 cinnamon fern. 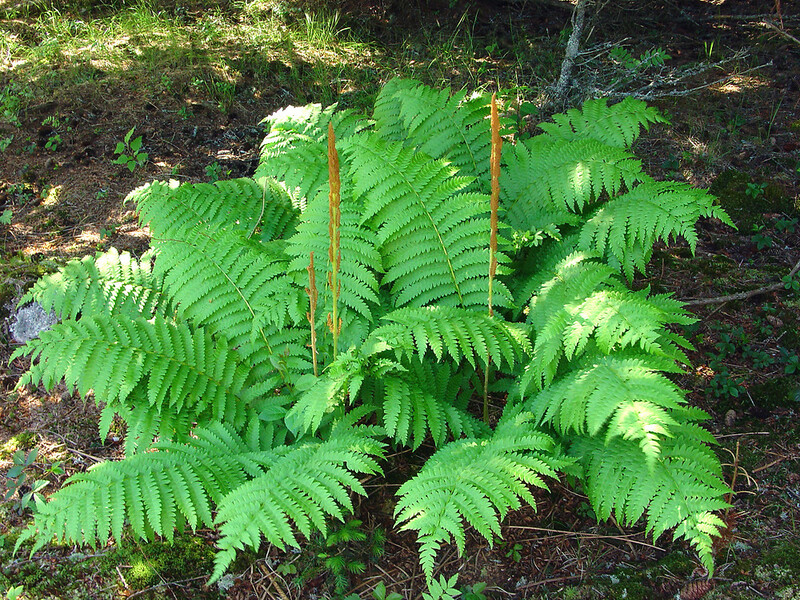 Osmunda cinnamomea L. • CT, MA, ME, NH, RI, VT; throughout and common. 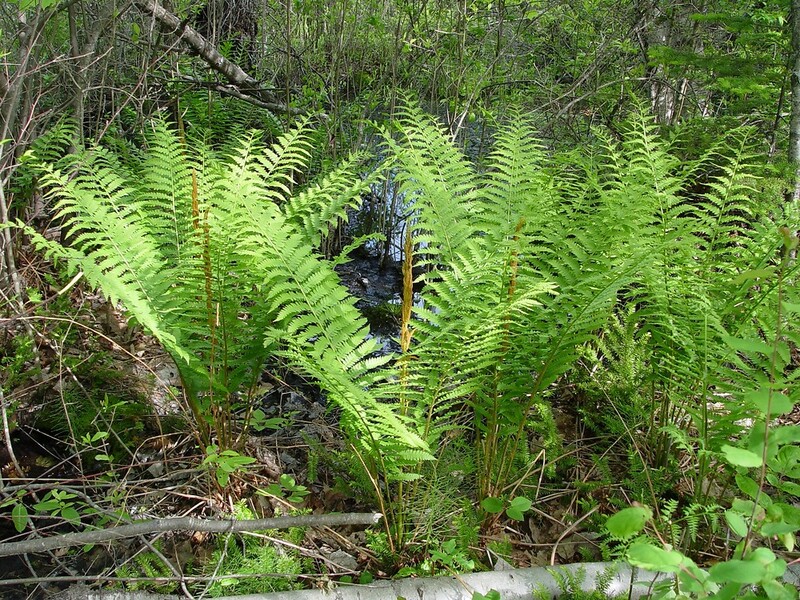 Mesic to hydric soils of forests, swamps, and shorelines.